Alarming levels of diabetes. Worldwide, over 50 per cent of indigenous adults over age 35 have type 2 diabetes and these numbers are predicted to rise. In some indigenous communities, diabetes has reached epidemic proportions and places the very existence of indigenous communities at risk. Life expectancy up to 20 years lower. Indigenous peoples suffer from poorer health, are more likely to experience disability and reduced quality of life and ultimately die younger than their non-indigenous counterparts. The gap in life expectancy between indigenous and non-indigenous people in years is: Guatemala 13; Panama 10; Mexico 6; Nepal 20; Australia 20; Canada 17; New Zealand 11. Poverty, tuberculosis and lack of treatment. Tuberculosis, a disease that primarily affects people living in poverty, affects at least 2 billion people in the world. As a result of poverty, tuberculosis continues to disproportionately affect indigenous peoples around the globe. While programmes have been designed to combat tuberculosis, they often do not reach indigenous peoples because of issues related to poverty, poor housing, a lack of access to medical care and drugs, cultural barriers, language differences and geographic remoteness. Poor levels of health, acutely felt by indigenous women. Indigenous peoples experience disproportionately high levels of maternal and infant mortality, malnutrition, cardiovascular illnesses, HIV/AIDS and other infectious diseases such as malaria and tuberculosis. Indigenous women experience these health problems with particular severity, as they are disproportionately affected by natural disasters and armed conflicts, and are often denied access to education, land, property and other economic resources. And yet they play a primary role in overseeing the health and well-being of their families and communities. In addition, as the incidence of other public health issues such as drug abuse, alcoholism, depression and suicide increases, urgent and concerted efforts are needed to improve the health situation of indigenous peoples. Poverty and malnutrition. Poor nutrition is one of the health issues that most affects indigenous peoples around the world. In addition to circumstances of extreme poverty, indigenous peoples suffer from malnutrition because of environmental degradation and contamination of the ecosystems in which indigenous communities have traditionally lived, loss of land and territory and a decline in abundance or accessibility of traditional food sources. Self-determination, collective rights, crucial to indigenous health. To address the root causes of indigenous peoples’ health problems, there must be full recognition and exercise of indigenous peoples’ collective rights to communal assets and self-determination. Many mental health issues such as depression, substance abuse and suicide have been identified as connected to the historical colonization and dispossession of indigenous peoples, which has resulted in the fragmentation of indigenous social, cultural, economic and political institutions. Health systems appropriate for the indigenous context. Models of health care must take into account the indigenous concept of health and preserve and strengthen indigenous health systems as a strategy to increase access and coverage of health care. This will demand the establishment of clear mechanisms of cooperation among relevant health care personnel, communities, traditional healers, policy makers and government officials. Existing conventions governing the use and disposal of toxic chemicals and wastes do not adequately protect the rights of the world’s most vulnerable, including indigenous peoples, who disproportionately suffer from their indiscriminate and irresponsible use. As such, there is an urgent need to create a global, legally binding regime for toxic industrial chemicals and hazardous pesticides to protect the rights of everyone, including indigenous peoples. Such a regime should have strong accountability and compliance mechanisms and be in conformity with international human rights standards, including the United Nations Declaration on the Rights of Indigenous Peoples, the Convention on the Rights of Persons with Disabilities and the Convention on the Rights of the Child. Traditional indigenous midwives’ cultural and clinical knowledge and their contributions to the well-being and positive health of indigenous peoples are largely unacknowledged and sometimes undermined by national health systems. Therefore, indigenous midwifery must be supported by state health policy and integration. Across the globe, indigenous women and adolescents face persistent inequalities and stigma, especially in relation to maternal health and maternal mortality, yet the lack of data in this area renders them invisible and presents a major barrier to efforts to address the issue. Indigenous peoples have consistently urged the UN System, regional health organizations and Governments, to fully incorporate a cultural perspective into health policies and programmes and reproductive health services aimed at indigenous women. Furthermore, the roles of traditional midwives should be re-evaluated and expanded to assist indigenous women during their reproductive health processes and act as cultural brokers between health systems and the indigenous communities’ values and world views. 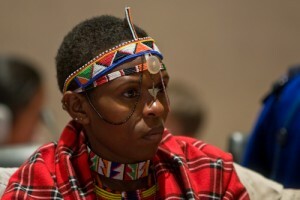 In 2018, the 3rd International Indigenous Women’s Symposium on Environmental and Reproductive Health adopted “The 3rd Declaration for Health, Life and Defense of our Lands, Rights and Future Generations” calling for States, the UN System and partners to increase the efforts made to address the environmental health and violence experienced by indigenous women. This same year, the Pan American Health Organization (PAHO) launched a Virtual Health Library on Traditional, Complementary and Integrative Medicine, to promote access and generation of scientific/educational material that can contribute to the integration and enrichment of Traditional, Complementary and Integrative Medicine (TCIM) inside the Americas health system services. In 2017, the Pan American Health Organization (PAHO) adopted a Policy on Ethnicity and Health bearing in mind the need for an intercultural approach to health, that improves the situation of indigenous peoples, taking into account national contexts, priorities and regulatory frameworks. Likewise, PAHO also implemented a Health Plan for Indigenous Youth in Latin America and the Caribbean to support the creation of opportunities for dialogue and social participation in health-related actions that benefit indigenous youth in the region. This same year, the World Health Organization (WHO) along with the Ministry of Health of the Russian Federation convened the First WHO Global Ministerial Conference titled Ending TB in the Sustainable Development Era: A Multisectoral Response which resulted in the Moscow Declaration to end TB. There, States to commit to end TB, as a political priority under the Agenda 2030, and prioritize the involvement of indigenous peoples and other high-risk groups in the process.